The sandwich assembly line at Greek Orthodox Church of Greater Salt Lake. On one fold-out table, a box of orange wedges. On another, the bread. And right under the basketball hoop sat the sliced ham. This was the scene inside the Hellenic Memorial Cultural Center on Saturday morning as more than 180 members of the Greek Orthodox Church of Greater Salt Lake volunteered to assemble sack lunches for the needy. So while the topic of the city’s homeless too often centers on where to “put” them, many groups remain committed to trying to help those less fortunately, wherever they end up. Thomas Peters, president of the church, said the inaugural Operation Brown Bag event was a success. Volunteers ranged in age from elderly to toddler. “The 90-year-olds were bagging the lunches and the 3- and 4-year-olds were putting together the napkins,” he said. 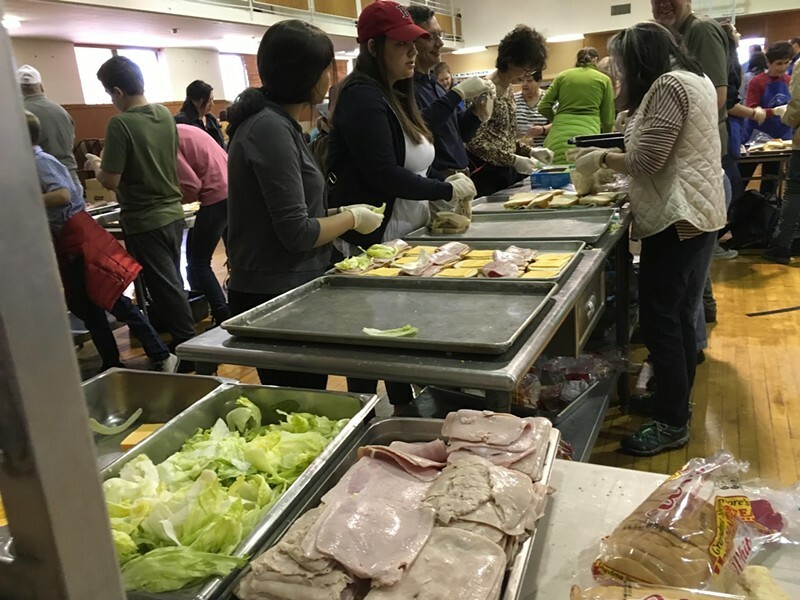 Eleven locations received the meals that were prepared by parishioners. “We contacted them and said, ‘What can we do to alleviate your burden for a day or two and provide a lunch or a meal to the homeless and the hungry?’” Peters said. The answer: a simple lunch goes a long way. The sack lunches consisted of ham-and-cheese sandwiches with lettuce, cookies, chips and oranges. Condiments and napkins were also provided. On Saturday, the church delivered the food to the service organizations, about half of which were out the door before noon. Sack lunch recipients include the Crossroads Urban Center, Midvale’s Road Home shelter, Bountiful Homeless Shelter, City Plaza Apartments, YWCA, St. Vincent de Paul, The Inn Between, Volunteers of America, The Road Home shelter downtown, Homeless Youth Center and Hildegard’s Food Pantry.